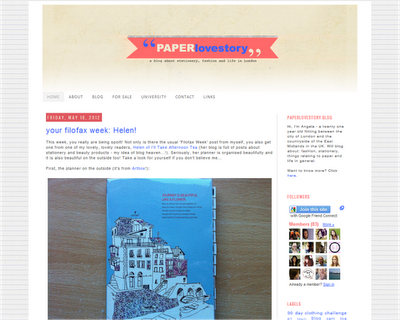 I recently posted a new layout in Personal size that was inspired by Filofax's Cotton Cream Week-on-two-pages. I'm now releasing a version in Pocket size. 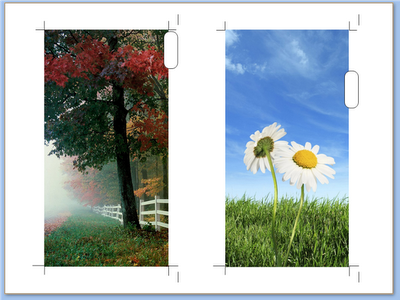 When I posted recently about my new dividers, I received a lot of positive feedback through comments and via Twitter. I was also asked for a tutorial. 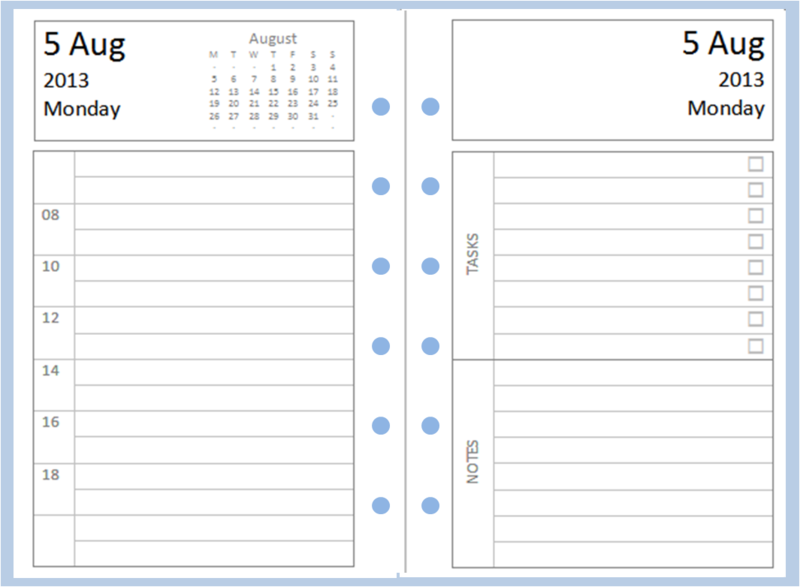 I made mine using the methods I outlined in my post on quick and easy Filofax dividers, but I thought it might be useful to provide a bit more help in the way of a template people can download and use to make the whole process easier. Each page will end up being printed on A4 card and contain two different Personal-size dividers, with crop marks to make cutting them out easy. All you need to do is add your pictures, and delete the tabs you don't need. 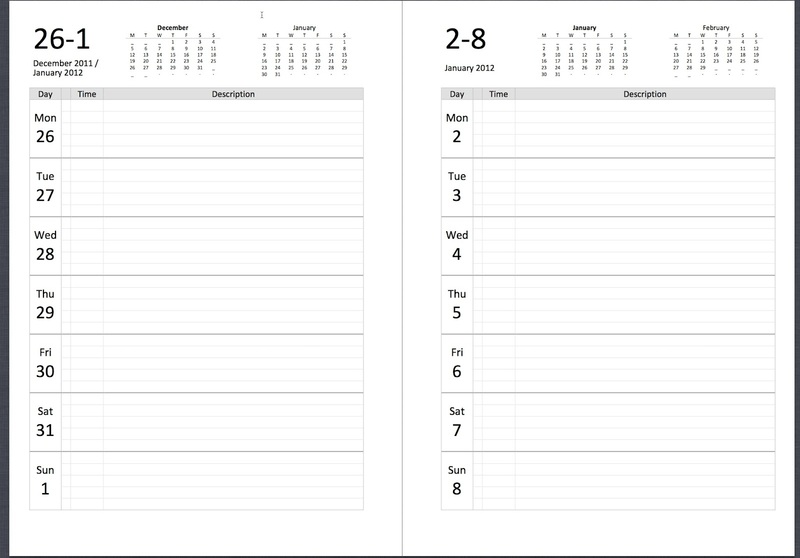 Each template has six, evenly-spaced tabs but you could easily alter the template to cater for - say - ten tabs if that better meets your needs. When you add pictures, you'll need to position, size and crop them. 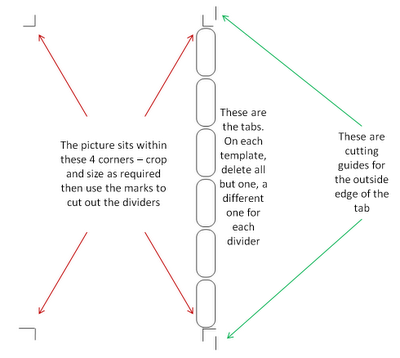 This will be hard if you don't know how to make pictures 'float' in a Word document. To do this, once your picture is in the document, right-click on the picture and from the pop-up menu, select 'text wrapping', then 'behind text'. You can then drag the picture around at will. 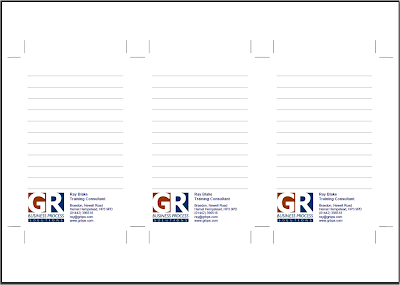 Print this on card, crop using the marks, taking care around the tabs, then punch as usual. You can wrap some clear plastic film around the tabs and cut off the excess if you want the dividers to last longer. 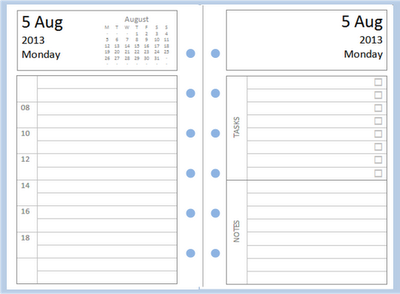 If you look at the dividers that came with your Filofax, you'll notice this is what they do with the standard dividers. Anyway, if you have that creative feeling you can download the Word file and get started. For a while I have wanted to make dividers from some nice photographs, so I sat down with Google images to find some nice architecturally-themed ones. I wanted some dividers that were a little more masculine than the home-made ones you often see, but you could use any pictures at all. I printed them on card and cut them to size with tabs, using the method I recently shared here. I added a little longevity to the tabs by wrapping them in clear adhesive film and removing the excess with a knife. 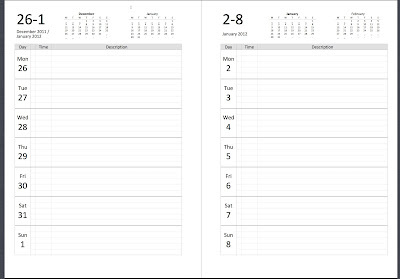 If you look at the standard Filofax dividers you'll notice they do exactly the same thing. Then it was simply a matter of getting the label machine out. 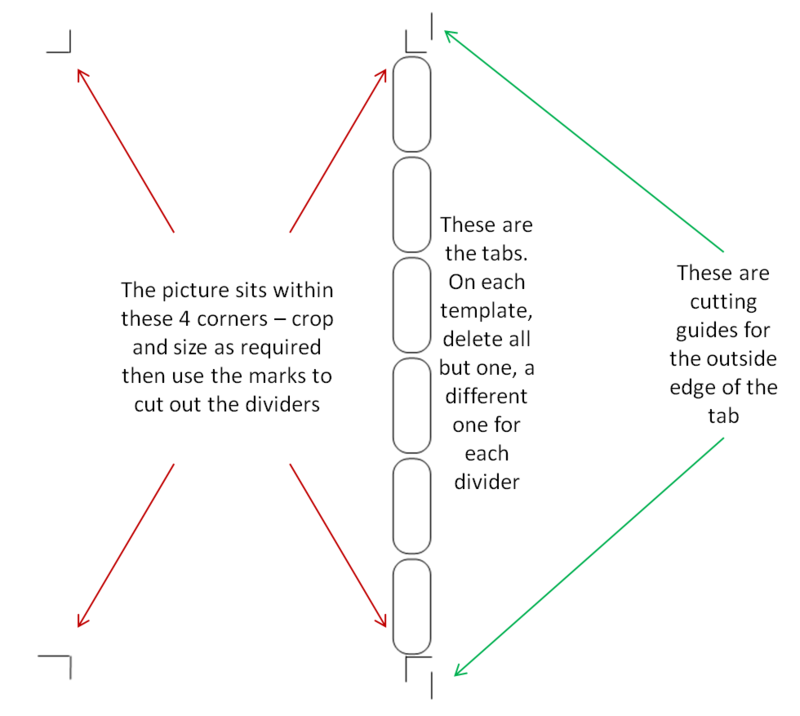 I use the 'box' setting on my labels, which makes them easy to then cut down to size, as explained in this post. I recently created a Travel Journal for the Personal Filofax you could print at home. No sooner was it online than the clamour began for a Pocket size version. Today I am releasing one. As before, at the heart of the journal is a two-page spread. You can use one of these for each day of the trip. I've also built Pocket size end pages. If you want to see how these are used, have a look at the original post. Download the main pages as a Word file or a PDF file. Download the end pages as a Word file or a PDF file. 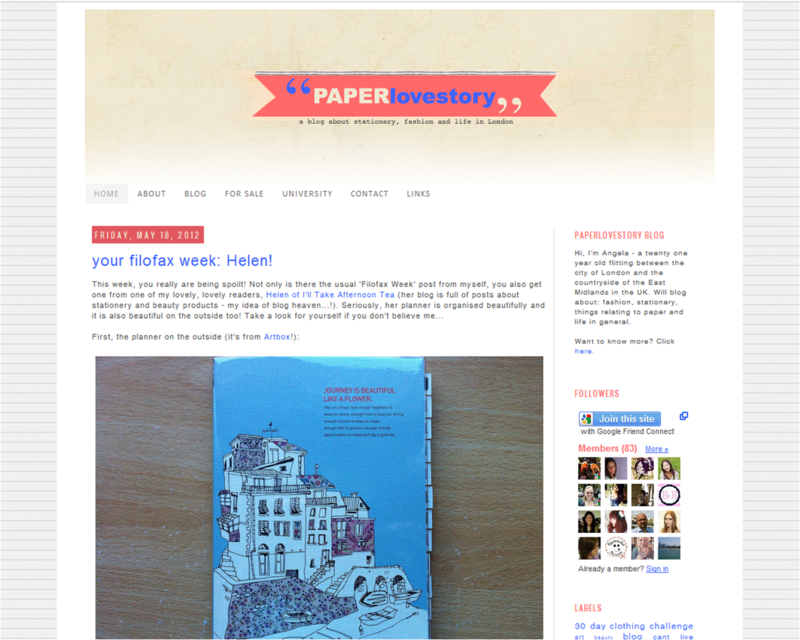 My 'Blog of the Week' feature introduces a different Filofax blog each week. This week, Lindsay guides us through LJ's Blog of Stuff. I started the blog mainly because I decided to take the 101 Things in 1001 Days challenge and needed to be accountable - you can see more about the full reasons in this post. All the ones that involve my filofaxes have had more pageviews than any others (thanks to Philofaxy and Steve and all the wonderful filo fans who visit). But the clear winner is this one when I was having a bit of an issue with my new setup. The number of people who have visited from Philofaxy and left comments - I really love getting comments on my posts. They give me more ideas for things I can try in my filos, and encourage me to carry on blogging as we all know that most friends and family just don't get it, so it is nice to know that there are all these other amazing filo fans out there. To someone who is unsure about whether to start blogging because they're worried that friends and family may see it, or because they don't feel confident enough for other people to see their thoughts - go for it!!! I felt like that when I started and now as soon as I have done a post I link it on my Facebook status. Most people don't even look, but I haven't had any negative feedback and everyone now knows that I am obsessed with my filos and stationery, and there is nothing wrong with that. My thanks to Lyndsay for participating. This one is based on a Philofaxy reader request which Steve passed on to me to produce a Pocket version of this popular layout. 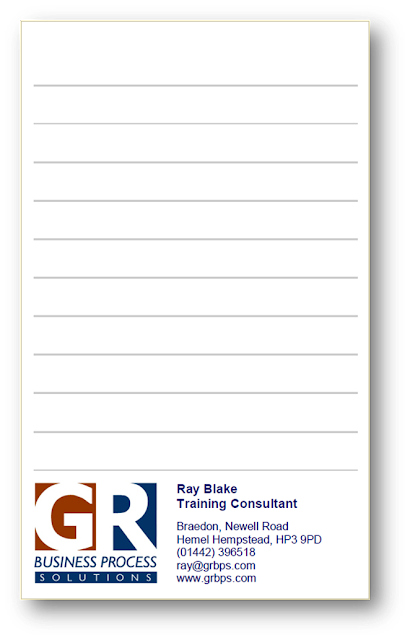 What I really enjoy about preparing 'Blog of the Week' is getting the opportunity to look in depth at such a wide range of blogs all devoted to Filofax. This week, Josh introduces us to the Joshua Buffum LaPorte blog. I joined Tumblr a couple of years ago, and have gone through fits of posting between long pauses. I started using Tumblr to share photos and give myself an outlet for my various interests. As I became focused on time management and planning, largely due to changes at work, I found it helpful to write about it and summarize what I was learning in the blog format. Then I found that short videos work well when I want to demonstrate something. While Filofax seems to be marketing its product as a fashion accessory, I use mine first and foremost as a tool, and I like to speak to that in my blog and video posts. As you can see by visiting, I also comment on non-filofax stuff and or share images and video and such that strikes my fancy. I've no idea! Tumblr doesn't do a page counter "out of the box," and I've never felt the need to add a widget. I was interested in Steve Morton's post of tips for filofax blogs, which seemed to point to tips to build and sustain a readership. I've not concerned myself with this, but it does certainly feel nice when people complement me on a post or video!. I think that my early Filofax Love post is my favorite. I think that putting my process of landing on a portable looseleaf binder type system helped me process through the advantages of this type of system. That people are interested in what I have to say! I've really learned so much, and I love how sometimes when I demonstrate a problem with a specific insert or process, someone chimes in a comment explaining the work around or what have you to solve it! If you are interested in more than just filofaxes, just go ahead and talk about what interests you! My thanks to Josh for participating.